Rich was selected as October Knight of the Month, for his hard work on this year's Soccer Challenge. Matt was chosen as Knight of the Month for January for his efforts as Event Chair for the annual Free Throw Championship. Under Matt's leadership, the event continues to grow and has seen an increase in participants year over year. 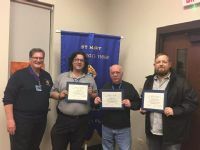 Art was recognized posthumously for his great works for our Council, particularly in recruiting many new Brothers over the years. Arnie is recognized for his help with recruiting Brother Knights to help with the Christmas Tree Lot. Sir Knight Ted Mellenthin is recognized for his efforts in taking on the responsibility of chairing our annual ID (Tootsie Roll) Drive and helping to ensure its success. Rick is recognized for his efforts as co-chair of our successful Chari-Tee Golf Outing. Damon is recognized for his efforts as co-chair of our successful Chari-Tee Golf Outing. 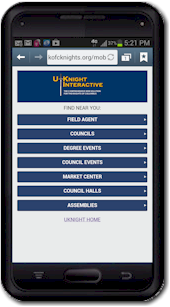 Sir Knight Nick Nakis is recognized for his setting a stellar example in exhibiting the primary focus of our order - Charity. Sir Knight Phil Miller is recognized for his efforts in leading this year's Parish Picnic. All members of the newly-formed Degree Team are honored for their commitment to seeing our Council's Degree Team Formation and holding our inaugural First Degree Ceremony. Tom was recognized for his help with the second Deerpath Project. Mark was recognized for his help with the second Deerpath Project. Phil and his wife Char were recognized for his efforts with the "Taste of Italy" spaghetti dinner. Jim was recognized for his efforts with the ID (Tootsie Roll) drive. Phil was recognized for his efforts in organizing the "Taste of Italy" spaghetti dinner. Dan was recognized for his efforts in organizing the "Taste of Italy" spaghetti dinner. Al was recognized for his efforts with the "Taste of Italy" spaghetti dinner. Frank was recognized for the outstanding work he did in organizing the Deerpath Project. Dan was recognized for his fine efforts in overseeing the Parish picnic. Msgr. 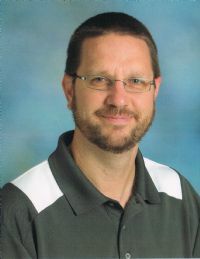 Steve was recognized for his 10 years of service to St. Mary and 25 years in the priesthood. Tom was recognized for all of his service to the SPRED (Special Religious Development) program at St. Mary. Rick was recognized for his work on our highly successful Parish fish fry. Brad was recognized for his work on our highly successful Parish fish fry. Nick was recognized for his volunteer work at many of our events, council efforts and 4th degree work. Kevin was recognized for his work on our council website and charities. Phil was recognized for his work on the free throw competition. 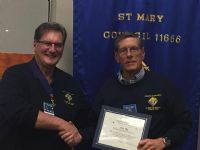 At the January meeting of the St. Mary of Huntley Knights of Columbus Council #11666, the trustees selected Jerry O’Sullivan Knight of the Month. Their selection recognizes his work making the council’s 2013 Free Throw Championship a successful event for the boys and girls, ages 10-14, who participated in the event held January 12th at Centegra Healthbridge Fitness in Huntley. Jerry was the co-Chairman of the event and also assumed the responsibility of coordinating with the parents of the council champions of the individual age brackets for participation at the district level competition held at St. Margaret Mary School Gym on Saturday, February 16th.